Traction – The same traction pattern from the ClutchFit Drive was brought over to the Curry One, and since the entire tooling wasn’t re-used you won’t hear me complaining. They’ve redesigned the entire shoe from the midsole up, keeping only what works… which is how things should be done. Storytelling is cool, especially when it works, but having great traction is cooler. The only time when I had an issue with these was on really dusty courts. Wiping in those instances was needed frequently, but the traction worked well enough to where I’d still choose to play in them no matter the court condition… and I can’t say the same for every shoe I’ve played in. Outdoor players will receive solid traction as well. Cushion – A brand new cushion is implemented in the Curry One called Charged. Its another foam layer added to the Micro G carrier that is supposed to be somewhat ‘alive’. While I don’t feel that it was actually alive, it was softer while moving normally and stiffened up while in motion. Using Micro G was an awesome touch as it brought something familiar to the table while still introducing something new. Impact protection and responsiveness is utilized perfectly which will provide you with a nice balance of the two attributes. If you like Micro G, Lunarlon, Gradient Dual or any of the other foam cushions on the market… then you’re going to love these. 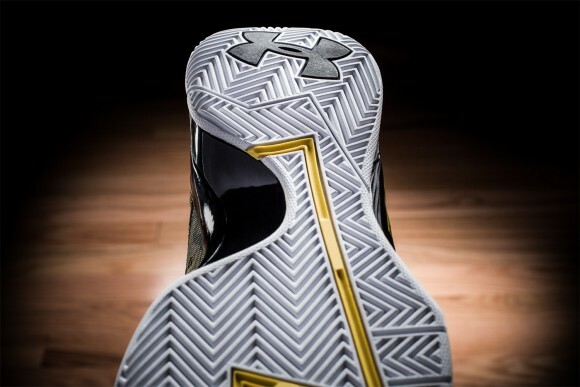 Materials – New materials were introduced in the Curry One as well. Dubbed anaFoam, the lightweight material has built-in support pieces made of foam and wrapped in a compression molded fabric that is similar to canvas in terms of feel, buts really just multi-layered mesh. Its strong, lightweight and flexible while being supportive. ClutchFit is meant to act as a second skin while anaFoam is meant to be a supportive structure that you never notice on your foot. Durability may prove to be an issue in key high wear areas, but they’ve added a Fuse layer on the toe to compensate for that potential issue. Fit – They fit true to size overall, and feel as if they’d accommodate and ankle brace rather easily. When I first wore the shoe, during the wear-test event, they felt as if I could have gone down 1/2 size due to a little dead space, but after I kept playing in them every night after the event took place, the materials eventually molded to my foot and provided me with a fit that I fell in love with. Try them on if possible, but go true to size if all else fails and you should be fine. Lockdown was solid from heel to forefoot, no real issues there. Only problem I had was when I’d wear no-show socks. The top two eyelets are metal grommets and they dug into my ankles. Higher socks were an easy fix, but I feel it should be noted for those that may enjoy wearing lower cut socks. Support – Most of the support comes from the upper and fit, its basic overall so nothing crazy. It’s got everything that you need, nothing you don’t. There is a heel cup in the rear of the shoe, which helps keep your foot on the footbed, and there is a TPU shank for torsional support. 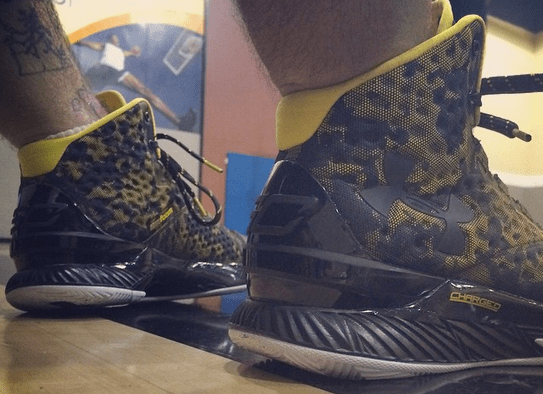 Overall – I really enjoyed playing in the Curry One, however, they are very similar to the ClutchFit Drive. Cushion is slightly altered, I can go with either setup and be satisfied, while the upper is the main difference. The anaFoam structure isn’t quite as supportive as ClutchFit, but it is supportive enough for a Guard… I feel the ClutchFit Drive is a great shoe for every player, while the Curry One feels like a Guard oriented shoe. At $120, you really can’t go wrong. 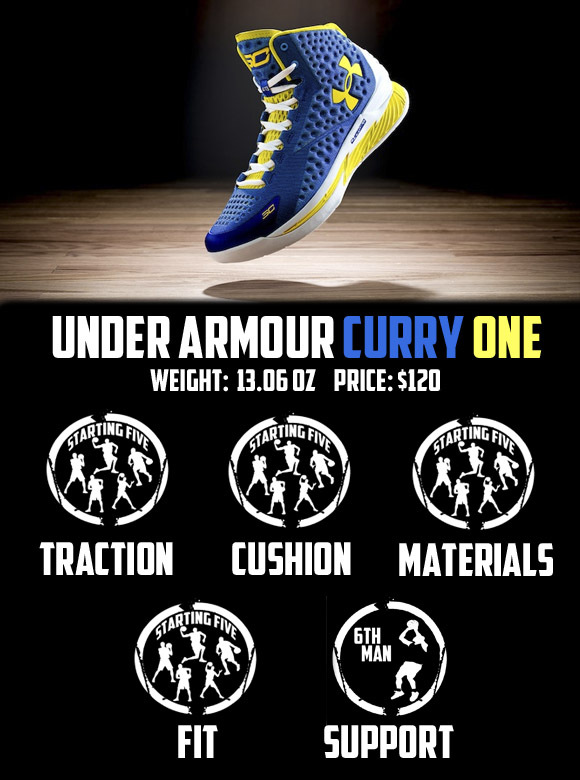 The Curry One will be available on February 13th at UnderArmour.com as well as other Under Armour Basketball retailers. Thanks for the quick review !! Can’t wait to try them! I never say if traction will last bc there is no way to tell, I’ll only say if the rubber is too soft. So is the rubber too soft? I have 2 pairs clutch fit. The Kemba walker road and the Maryland and the outsole is not a soft outsole. Just know that all out door surfaces can wear out an outsole in days or games and will reflect how you cut or your power move = you cover to your right your left show will wear out on you medial side big time. Out door ballin is tough because you need tons of cushion and a hard out sole. This aint it. Klo, when you say “this aint it”, are you reffering to the Clutchfit Drives not being a good outdoor shoe? Please specify because I’m in between buying a pair of Clutchfits or waiting for the curry one. I’m 5’9′ but play more like a forward than a guard (Ironic, I know). So can play outdoor like training ? Can last very long ? Another solid review for another solid UA shoe! When will you review the Hyperrev 2015? Hey! Nightwing! Nice review! Just one little question, and please ignore me if you’ve mentioned it in the video: how is the ventilation? Is it better than ClutchFit? Oops… It is in the video. Sry Nightwing! I was wondering on Febuary 13 will all the colorways be dropping? 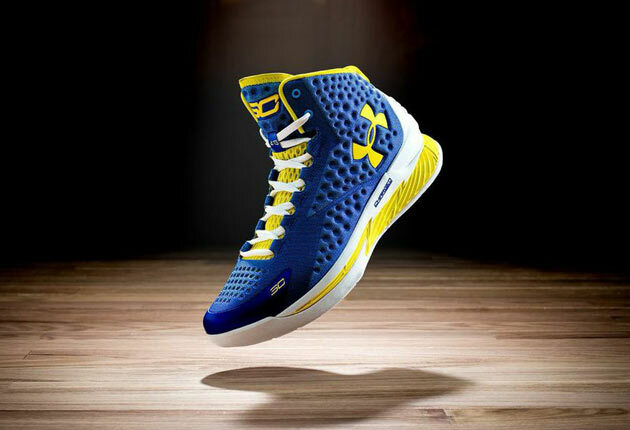 So if you are to choose between the SC Clutchfit Drive and the new Curry One, which is better overall? And as far as outdoor playing goes, cement/concrete/asphalt court, which one would last longer? They have the same outsole. isn’t anafoam basically what was on the hyperdunk 2012? It’s stronger than that. HD’12 had a foam and mesh upper, this is compression molded so it has more structure and rigidity while retaining flex. Hi nightwing! How about the ventilation of the shoes? Is it more ventilated than CFD? Thanks! Sup nightwing, which ones do you like better overall personally. These or the clutchfit drives? Also which is a more comfortable shoe? Have been waiting for this one, thanks a lot. Just one question @ over 13oz isn’t this a little on the heavy side for a guards shoe (ie : clutchFit Drive were lighter) ? Weight is not an issue with any shoe, construction and design is. If a shoe is built clunky then it will play clunky, but if they’re built with transition in mind then there wont be an issue. Plus, we’re talking 13 Oz… not 13 lbs. As always a very informative and accurate review! Great work Nightwing! @Nightwing – What are the chances that UA releases a low top version of this? They didn’t discuss it so I’m guessing there wont be one. Hi Nightwing, great review as always. I do have a slight problem with my zoom soldier 8’s and I was wondering if you may have a theory. Every time I play in them, i constatanly role my ankle and spraine it. I’m not sure if I have ankle problems or it’s just my bone structure with the shoe? They might not be your correct size, or there could be other factors into rolling that you arent considering. Like landing on someones foot, you wont avoid a roll over if that is the case. Hey night wing, great review. What shoe do you think has the best traction between the curry 1, original hyper rev, and rose 4.5? Does it have a narrow fit? Will wide footers need to go up a half size? Fit is mentioned in the review, slight dead space at first until it molds. Nice and to the point! Nice work, Nightwing. Hey NW!Great review as always.I bought the clutchfit drive a month ago and I feel regrets that I haven’t wainted till the Curry1 would be releasd.Is it such a different shoe?Would it worth the wait?I feel that the clutchfir drives really fit exactly to my feet(even if they aren’t ventilated well)and their micro g is great.Is there much difference in the feel of cushioning and feet?Should I buy the Curries or they are similar to CD? Hey Nightwing, would you mind saying something about the insoles in your reviews? A lot of players wear their own insoles and therefore it would be nice to know whether a certain shoe has regular insoles that can be easily replaced or not (for example the Kobe 9 insoles can’t be replaced because they are part of the cushioning) That would be nice to know for those of us who have to order online and can’t try them on in a store. thanks! 99.9% of shoes have removable insoles. The only ones that dont feature the drop-in midsole, and thats only from a handful of Nike/Jordan shoes. Its also something that is not being utilized in upcoming models which would make 100% of shoes released with removable insoles. If you have a hard time removing an insole due to heavy glue, use a hair dryer to heat up the glue for easy removal. Nice review! I play a 2 and a 3 so i might jus stick with the clutchfit drives but i can understand where u comin from. Is it just me, or is that the SportsCenter logo? The only difference is the S. I find it odd that nobody has mentioned this. Stepping the editing game up again I see, Segway sound effects 🙂 I see you. Would you recommend these over the Kyrie 1s? Is it very stiff like the droses or flexible like the clutchfit drives? Also do they play clunky type or really easy and fluent? One last thing I forgot is which do you prefer as a guard, Clutchfit drive or curry one? How does the responsiveness/bounce of these compare to the flight plate/unlocked zoom? is it even comparable? Is that curry 1 or derrick rose 5 is better? Great review. Hoping to get some next month. Nightwing, if Im a good 3pt shooter, what shoes would you recommend for me? Shoes never effected my shot, they shouldnt effect yours. Hey nightwing, if these shoes fit me, would the ClutchFit Drive also fit me just as well? As far as size goes, do you think they are similar? I really enjoy your reviews and based on them i consider buying the curry ones. what do you think will be the durability of the materials? you can imagine that i dont want them to have a useless cushoning after a few month (like the lunar in the kobes). Also: do you hear any word from adidas if they are planning to release a new boost basketball model sometime in the near future? According to runners reviews, this seems to be the best cushoning overall and especially considering the durability. 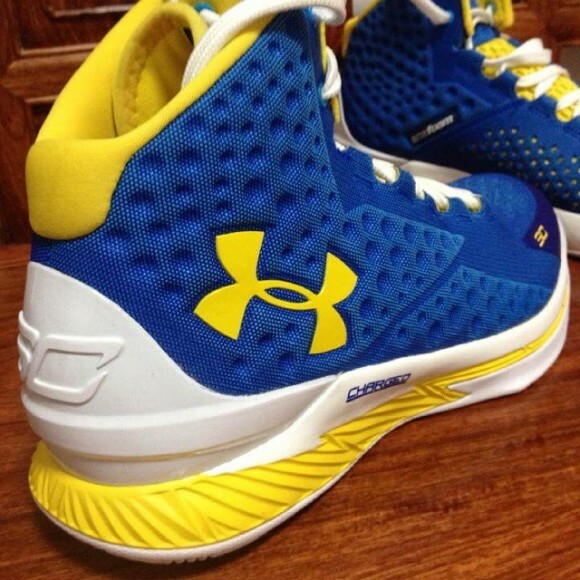 Curry one or Anatomix spawn? Nightwing! Any idea if its fine to size up like my foot size is 9.5 but i usually play in 10’s like my kobe’s and hyperrev. They feel fine. Does it go well with the Curry one? If thats how you like your shoes to fit then go for it. I wear a sz 9 in nearly every shoe unless stated otherwise. How would you compare the cushion system to the luanrlon in the Kobe ix? The lunarlon isn’t nearly as plush as I would have imagined and I’m hoping the curry will be my solution (still love the ix tho). Which is better d rose 5 boost or curry 1? Hi NW, I’m currently deciding between getting the CFD low or waiting for the Curry 1 low. Is one lower to the ground than the other? I’m a point guard and I like the court feel of being low to the ground. 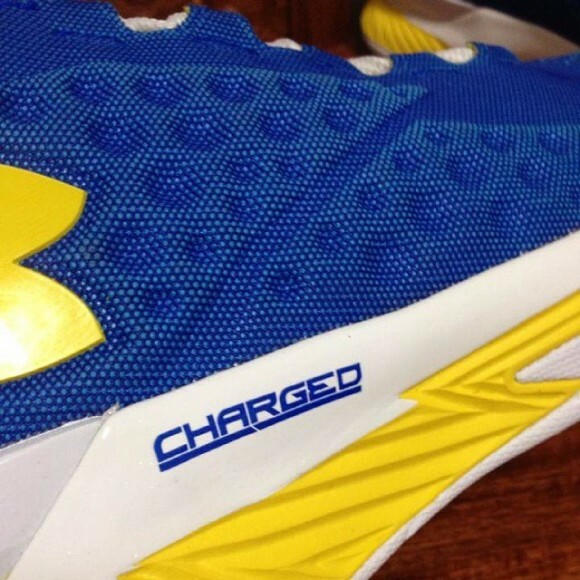 Did the extra charged layer on the curry 1 add thickness to the midsole? Assuming the curry 1 feels the same as the mid, would you prefer the curry 1 low or the cfd low? Hi, how do you (something) your curry ones if it has like scratches on the toe part and heel part? First and foremost, thanks for the great reviews on this shoe from all you guys involved w/ the WearTesters project/program. I’ve been playing in my MI30s for the past 2 weeks and really love them. It’s the first pair of non-swoosh brand shoes I’ve hooped in for as long as I can remember and think they’re great. My only complaint is that my temporary right ankle brace (air cast) shreds the inside collar a bit on the top medial end points. Other than that, the shoe itself is buttery, but more importantly all of your guys’ reviews on these are spot on as usual. What is better these or the 2015 hyperrev? Would you wear the same sized Hyperdunks 2014? I don’t have the opportunity to try them on and have to buy them online. Nightwing…great review as always. First time writer but I always enjoy your reviews. I’m 53 and 6’5″ and 245-250 and play the 3 in league. I play in Kobe 8s with lebron 11 insoles or AJ 28s. Looking to try UA. Do you think the CFD or Curry Ones would be better and not kill my knees. Price is nit a worry. Thanks! Hey nightwing great review. Bought a pair and honestly think these are the best shoes I’ve ever played in. They even fit my ankle braces way better than any shoe I’ve played in. What is the rate of starting five, sixth man, and others. In terms of comfort and support would you recommend the Curry 1 Low or the Melo M11? Curry 1 lows or mid? Hey Nightwing, do you prefer these as an explosive PG over KD 7? I really, really want these shoes and I have the money. Basketball season starts in two days and I can’t find any website selling them!!!!!! This is a good shoe but with two simple adjustments it could have been a great shoe, maybe the best UA model ever. The first has already been discussed at some length here. 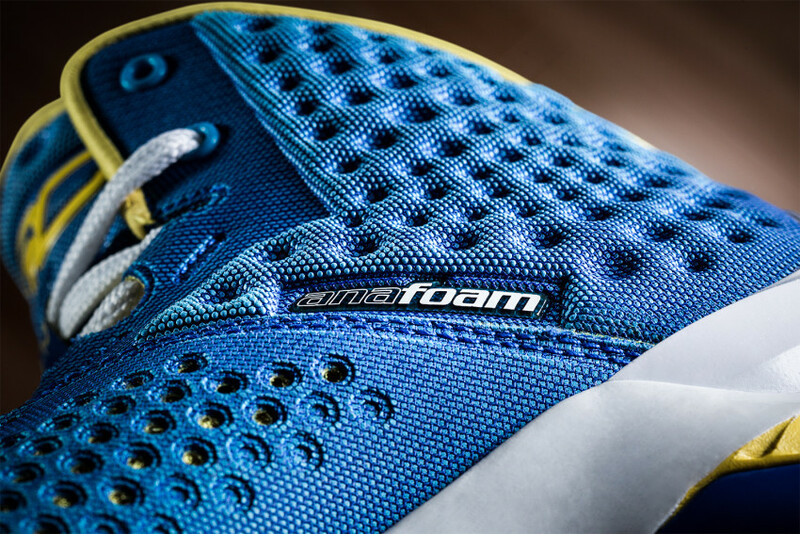 Using the Charged foam as firm, thick base layer and placing the Micro G foam on the top layer would have made a world of difference in the feel, performance and durability of the cushioning. As it is, the Micro G is buried and it’s no wonder that they eliminated it entirely for the newer Curry and CFD models. The second is much simpler, there needs to be some sort of backing around the collar of these, flat out. Some sort of memory fit foam like what Nike used to use in their stove top cleats would have been ideal, but even just reinforcing the material with the simplest of textiles would have made a big difference in the lockdown and overall fit. The Anafoam upper is great, it forms to the foot through the midfoot and toe. The height and lacing system are also solid. But at the ankle you just don’t feel the level of security that you should and it affects the rest of the shoe as well. An extra quarter or half inch of material would have made all the difference. Now, onto the positive. Though they had a bit of a break-in period, especially in the sole of the forefoot and the upper around the toe box, these turn out to be a comfortable shoe with a bit more width than some other UA models once the uppers loosen up. The biggest thing I could say is that they BREATHE WELL. It’s a shame that was eliminated as a category here because for years the only consistent flaw of UA models was breathability. These flow much better than the CFD, Spine Bionic, Anatomix Spawn, Torch series, etc, nice and airy. Between their sort of thick, Zoom-like cushioning setup and their breathable uppers, I think they are a good bridge shoe for people looking to transition from Nike to UA. As a whole I like this model and I’m happy with the four pairs I have. I do understand some of the critiques and, as I said, with two minor tweaks it could have been an all-time great.